“Stefano Boeri’s Vertical Forest towers are slowly popping up around the world. 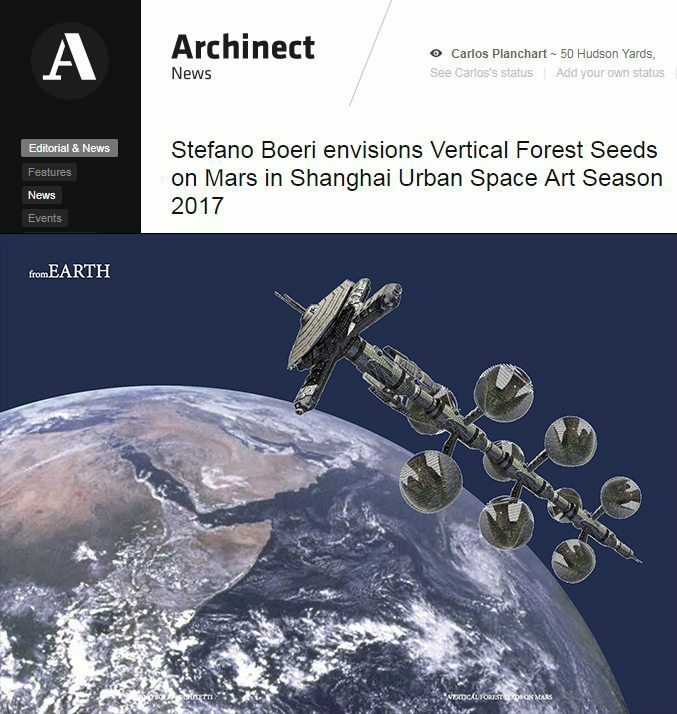 In Shanghai, the concept is transported to the Red Planet in “Vertical Forest Seeds on Mars”- reports Archinect news, that followed the Shanghai Urban Space Art Season (SUSAS 2017) from the very beginning. The project is curated by Stefano Boeri together with Li Xiangning (Dean of the Tongji University School of Architecture and Urban Planning) and Fang Zhenning (independent artist and international critic).